Sometimes, for decorative effect, you may want to make increases that lean either right or left. Here’s how to do it! 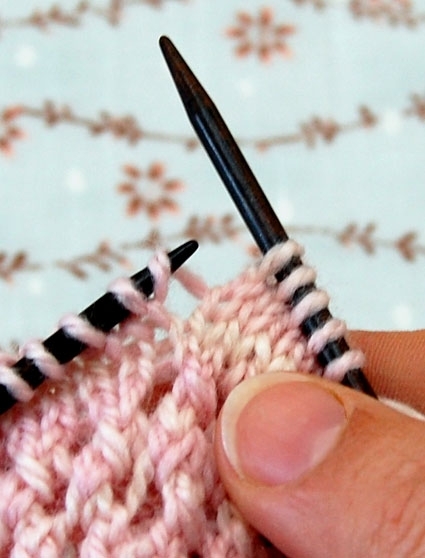 To “make 1 right” (m1R), pick up the bar between the last stitch you knit and the one you’re about to knit, bringing the needle from the back to the front. Then knit into the front of this stitch. To “make 1 left” (m1L), pick up the bar between the stitch you knit and the one you’re about to knit, bringing the needle from front to back. Then knit into the back of the stitch. Short, sweet, succinct. I love these videos which have provided me with valuable information. Turns out that I have been doing things the wrong way. Thank you. Love your simple demo and your pace! You have terrific knitting videos! You're the best! 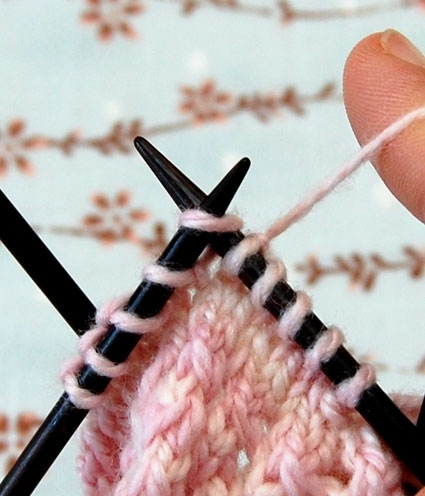 Have you ever thought about doing knit-alongs for some of your patterns. Schedule a date for a specific pattern ( give people time to order your yarn) and have a go of it- knitting blast! Thanks for explaining that so clearly! Your tutorial was excellent. I was explicit and had a very clear visual presentation. Thank you. I was able to obtain M1L and M1R knit stitches required in my pattern. Really clear and concise; thank you. My pattern says to m1L and m1R in the first row. How do I pick up a bar between cast on stitches? Slip 1 onto cable needle and hold it in back, k1, place the stitch from the cable back on the left needle, m1r, k2. Where I am having trouble is it hard to find which stitch to pick up for the m1r. Can you help? LOVE LOVE LOVE your videos! Thank you – all the way from Australia! Awesome! Thanks to your instructions I can finally understand how to do this! It is much appreciated! Your tutorial is fantastic and easy to follow. Hello, I am knitting a pattern which asks for “Inv-R (Invisible Increase Right)” and “Inv-L (Invisible Increase Left)”. Is this the same as m1R and m1 L as described in this tutorial? I can’t seem to find any specific instruction with this exact wording. Thanks in advance. That is a great question! There are a couple ways to do a m1 increase so it can be a bit confusing. However, the method used in this tutorial will create an invisible increase (I use it all the time!). The pattern you are using will be referring to this method. I hope that helps. Please let us know if you have any other questions. Thank you so much for creating this video, it’s short, simple and clear, so refreshing! Thank you for the tutorial. It’s simple and easy to follow and I love the needles used in the pictures. Where are they from? Thanks for you kind words! The needles used in the video are Crystal Palace Straight Bamboo Needles. The needles used in the photos are Blue Sky Alpacas luxurious Double Pointed Rosewood Needles. 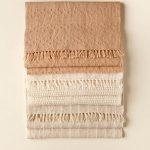 Both are available from Purl Soho! Estou aqui, revisando e reaprendendo, estes maravilhosos vídeos. Muito obrigada, pela sua atenção. Thank you for writing in! We really appreciate hearing from you and we are delighted that you are finding our video tutorials to be helpful! Again, thank you! I am working on the Bobble Sheep Pillow. In this pattern on certain rows the very first stitch is a M1L. Since there aren’t two stitches to go between, what do I pick up to use as the “bar”? Do I just pick up something in the first stitch? Very confused. Glad you like the video! If you need to M1L at the beginning of the round you simply pick up the bar in between the first and last stitch. Make sure your beginning of round marker is slipped to the right-hand needle first though. Best of luck on the project! It’s so cute! Thank you for this excellent video and clear demos that are easy to follow. I had never used this method for increasing stitches and like it a lot. I’m also making the Giant Bobble Sheep Pillow. The no. 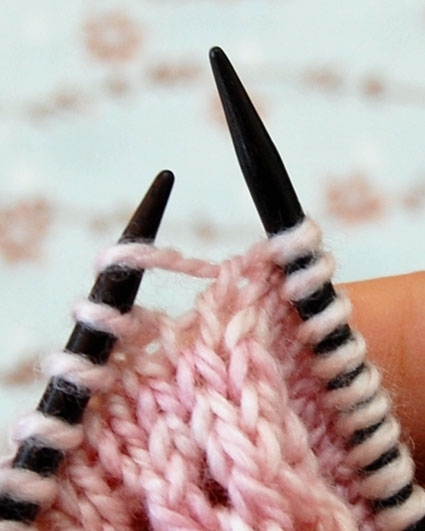 17 needles are a hoot, especially the double pointed ones…feels like I’m all thumbs! Great tutorial! I am working on a project that requires tight knitting, and love the idea of these invisible increases, but it is nearly impossible to do them because of the smaller needles and thicker yarn. Any tips to help with this? Thanks for the lovely comment! I suggest that you work your increases on your needle tips since the tip circumference is smaller. This makes it easier to insert your right-hand needle into the bar between the stitches. Hope this helps! Hi! I’m currently working on the rectangular colorblock bias blanket and I feel like I’m doing my m1L incorrectly – I’m getting a hole in every other row as if I’ve done a yo. My m1R looks great. Is it normal to have a bit of a gap with the m1L? Thanks for writing in! When you make one left you pick up the bar in between the stitches from the front and knit that bar through the back loop. Make sure you are picking up the bar in the right way and that you are also knitting through the back loop. You intentionally want to knit the increase twisted so it closes the hole. If you are doing everything correctly, it might be your tension or gauge. Let me know! I’m glad to help in any way! thank you for this. I’ve started knitting a pattern that just specifies “m1” and have discovered the big holes left when I’ve used the m1L on both sides! Annoyingly, the designer has done this on the sweater as well, as it’s on the photos, which seems daft! I’m pleased I found this… though I’m not so pleased with the prospect of frogging the front piece and reknitting!! Hello, when doing an m1L/R do you following through with a stich? Or is it just the picking up of the strand. I’m asking because I’m making your ‘Traveling Cable Hand Warmers’. My question arises for the ‘Set-up Round’. When you make the m1L do you follow through with the stitch? and then p2? Or is it just the pick up of the strand then pearl with your new loop and pearl one more (for the total of p2)? Thanks for the question! When you M1L/M1R you pick up the strand in between stitches and either knit it through the front or back depending on which increase you are doing. Let me know if you still are having trouble. I have just started the Bobble Sheep Pillow. Row 6 is a purl row in the pattern – do I still use the M1L and M1R as indicated or do I need to do a M1pL and M1pR instead on the even rows? Thanks for the question! No need to M1P. M1R/M1R will suffice since they happen right before and after a knit stitch. It blends quite nicely into the fabric and plus, the bobbles obscure most of the decreases anyway. Best of luck! adding this to my repertoire. Thanks for this video – it was exactly what I needed! These abbreviations are coming up quite frequently in patterns, and I’ve been inconsistent with them – I think I have it now! This is very helpful. Also Ive fallen in love with that pink and white variegated yarn that is shown in the demo. What yarn is that? Thanks for the wonderful comment! I don’t know exactly which yarn is shown in the tutorial but I am going to guess it’s Koigu KPM in color 2121. Hi! Thank you for the great video. I want to make two M1R, one after the other. Is it possible? I just don’t know where to pick up the yarn in the second increase. Thanks for the lovely compliment! The best way to do this is to M1R, K1 and then M1R again. You don’t want to make two M1R out of one stitch bar because it will be too tight and quite noticeable. In my project I have to increase stitches on the RS by M1R and M1L. On the WS I have to knit the stitches as they appear. But I can’t really make out whether to knit or purl them. Advice would be appreciated. Thanks for the question. 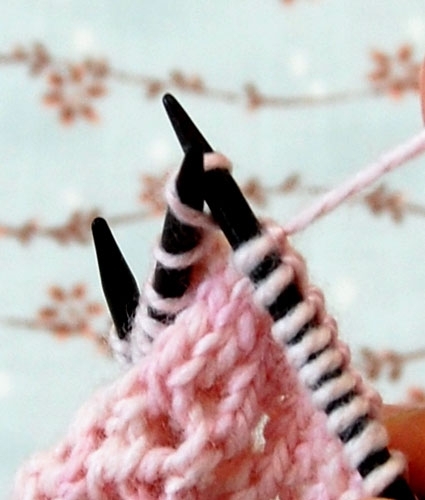 If you are knitting stockinette, you’ll want to purl the increased stitches on the purl side. Is this M1R and M1L the same as INC -R and INC-L? Thanks for the question. Many patterns describe increases in different ways. My guess is that the pattern you are following lets you pick whichever increase method you prefer. Best of luck! Inc-R and Inc.-L would this be the same as M1R and M1L? Oh for goodness sakes..just noticed someone asked the very same question as me….guess I know my answer. Thanks. I will continue on. If I am required to do a M1R and a M1L on a purl row, would I purl this stitch or knit it? This is at the centre point of a shawl. I apologize for the late reply. To M1R on the Purl side, you would Purl through the front of the stitch, to M1L on the Purl side you would Purl through the back of the stitch. Thank you so much for your clear instruction! I knit the ‘european’ way so it looks a bit strange to me, but your instruction and explanation have made it impossible for me to NOT understand!! I’m bookmarking your site – thanks again! Awsome! Thanks. Just what I needed. My M1L is generating large spaces in the work whereas my M1R areas look great. Any tips on how to avoid this issue on the M1L side? Thanks for reaching out! It is hard to say what might be going wrong without being able to see your work in person, but both the m1R and m1L should appear the same without any holes. I would double check to make sure you are knitting through the back of the picked up stitch when working the m1L, and if you are still having problems, please feel free to send us a picture of your stitches at customerservice@purlsoho.com so we can troubleshoot this! This increase is amazing. But is it the same as Knitting front & back as far as an increase goes? I guess I am asking if they are interchangeable? This looks so much easier than a kfb. Thanks for writing in! 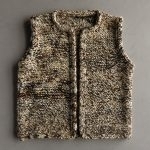 A Make One and Knit Front and Back are actually not interchangeable if you are following a pattern that calls for one or the other. 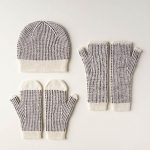 A Make One is worked in between stitches, while a Knit Front and Back uses up a stitch, so exchanging one for the other can throw off your stitch count. Thank you for the very straight forward video. I’m a left handed knitter and a beginner knitter 😉 Because I’m knitting in the other direction would I knit the M1r first? Thanks! Thank you for reaching out! This depends on how you are knitting backwards, but this sounds logical! You could knit up a small swatch to see which way you m1l and m1r are leaning and that will give you a solid answer. Im practicing this stitch. I woukd love to make this swatch. Can you give me some instructions? I want to make this edging. Thanks for reaching out! For our swatch, we are simply knitting two stitches before the m1L and two stitches after the m1R and purling all the stitches on the wrong side. Although it looks a bit fancy, it is just due to the line of increases along each diagonal edge!